KUWAIT: 9 April 2019:– Abdulmohsen Abdulaziz Al Babtain Company (AABC), the sole authorized dealer of Tadano LTD Co. in the State of Kuwait since 1979, provides high standard Genuine parts at very economical prices for its Tadano customers to ensure reliability and the best service. Al Babtain Group through its many years of strong partnership brings all types of Tadano’s hydraulic cranes to Kuwait, which continues to dominate the local market in terms of sales with a remarkable market share over the past years. Al Babtain group ensures its clients’ needs in Kuwait are accommodated with the best-in-class products and after-sales services ensuring a smooth customer experience. The rapidly expanding partnership between the two entities has given rise to trusted solutions and lucrative opportunities that benefit all of its customers. Backed by a remarkable 70% market share, the brand is synonymous with trust and reliability around the world, and in the region. Renowned for its superior quality cranes, it has maintained its position as a leading provider of valuable and smart, technologically adept equipment that maintains its customers’ expectations. 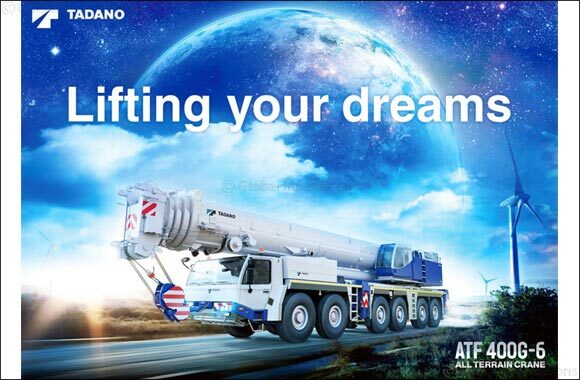 Today, Tadano is the largest Japan-based manufacturer of cranes and aerial work platforms and the seventh largest crane manufacturer in the world, established in 1948 and listed in the Tokyo Stock Exchange. Led by its principle ‘safety first, quality second and efficiency third’, Tadano name has become synonymous with trust and reliability around the world, and in the region.